Ufone comes with new exclusive offer Ufone Weekly Internet Packages 2019 Activation Code. Through activating these internet offers, a person will able to use the internet for 7 days. 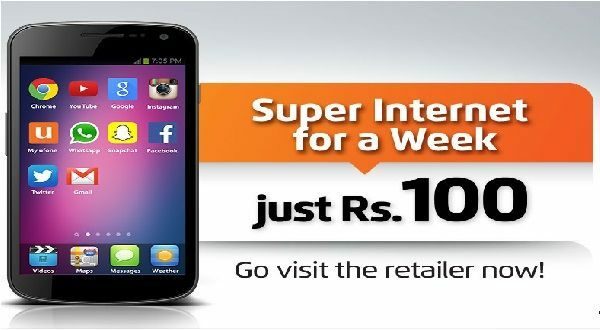 There are three different types of Ufone Weekly Internet Package which are designed for different type of customers. Every customer has different internet usage. So Ufone has realized the need of their customers and introduced different call packages for its different type of customers. If you are also looking for the best internet package then you can choose the best internet package from the below-given packages as per your need. Activation code for each package is also given so that if you want to activate by dialing the activation code then you can dial it. These Ufone internet packages are only for prepaid users. When you will subscribe to any of these Ufone Weekly Internet Package 2019, you will get free MBs for 7 days. Through this, you will become able to use the Ufone super 3G internet speed for downloading and live stream etc. So choose any of the following Ufone weekly net package 2019 to enjoy 3G speed for a week. Ufone has three different Ufone Internet Packages 2019 Weekly for its customers. Now Ufone users can choose the best internet package according to their need. Those who use the internet for social use can activate a package which is specially designed for social usage. If the purpose is downloading then activate a package which is best for the downloading. If you are looking for any best Ufone Weekly Internet Packages 2019 then choose from these three Internet packages. The First package includes 2 GB for social usage and 250 Mb for the rest of Internet usage. In the second and third package, you will be able to use the internet for any purpose. There is no hidden package for these packages. The price may vary at any time and they can also change these package anytime too.